We Buy Houses In Universal City And The Surrounding Area — We Buy In Any Situation Or Condition. Can We Give You A Fair, Fast Cash Offer For Your House Today? Attention house sellers who own an unwanted property in Universal City and want to sell fast — we can help. We are the leading house-buying company in Universal City and we’re ready to make you an offer to buy your house as quickly as you’d like. Is your unwanted property wearing you down? It can be exhausting and expensive to own an unwanted house in Universal City. Whether you’re going through foreclosure or divorce or probate, or the property is a problem rental or needs repairs that are too expensive to make. Whatever the situation or condition, we’re ready to buy. We have the funds available to buy your house fast and we’ll hand you a check at closing. We can even close in as little as 7 days, if that’s how quickly you’d like to sell. If you’re exploring your options right now then here’s some info that you might find helpful about selling your house in Universal City fast. Working with a real estate agent is the most common way that people sell but it’s not the fastest. If repairs are needed to the house before the agent will list it, it can take weeks or even months to get your house listed. And once listed, it can take 3-6 months (sometimes longer) to find a buyer. All that waiting adds up. And so does the cost: you’ll pay out-of-pocket for those repairs; you’ll pay bills and taxes on your property while the agent shows your house to potential buyers. And if the agent can find a buyer, you’ll pay the expensive agent commissions. All this time and expense adds stress to the situation when all you want to do is sell your unwanted house fast, put money in your pocket, and get on with your life. At Anchored Sunshine, LLC, we work very differently. We are Universal City‘s leading house-buying firm and we don’t want to list your house (like an agent would), we actually want to buy your Universal City house from you. No wonder clients love working with us! We make it so easy to get rid of your burdensome real estate. Enter your contact information into the form at the top of the page. We’ll view your property and give you a fair offer for your house. If you choose to accept our no-obligation offer, we’ll close quickly. Just imagine: your unwanted property doesn’t have to be a hassle or burden any longer! 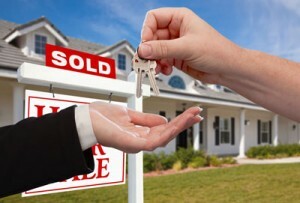 Let us make you an offer on your house to buy your house from you fast, for cash. At Anchored Sunshine, LLC, we specialize in buying Universal City houses fast. We buy in any condition or situation (even complicated situations) so if you’re fed up with your property and just want to walk away, we can help. We buy houses in Universal City in any condition and we pay cash, fast. Can we help you? Just enter your info into the form above or call our office today at (210) 693-1533. Sell My House Fast Universal City! Can You Get Your House In Universal City Back After Foreclosure?